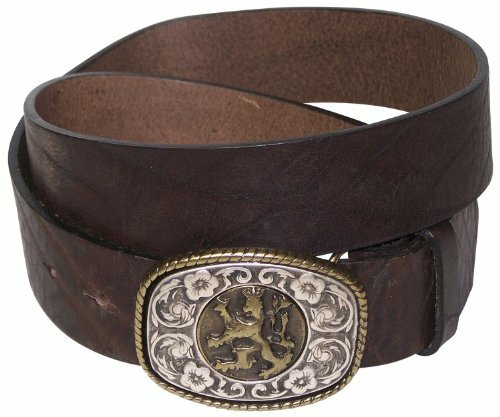 This traditional Bavarian belt is made of the finest leather (eco-grade natural leather) with a vintage finish and a striking lion buckle. The leather has a premium look and is an excellent match for lederhosen or other traditional types of rural clothing. The buckle features a majestic lion with floral embellishment, and the elaborate design is completed in different metal finishes. The buckle can be switched out with our snap system. This belt hits all the marks when it comes to quality and style! If you have any questions about this product by Fronhofer, contact us by completing and submitting the form below. If you are looking for a specif part number, please include it with your message.